eHTS was invited by the International Regulatory Affairs Network to present WIVI’s use case for an audience of 150 attendees. Last January 31st Eva García Ramos, CEO and co-founder of E-Health Technical Solutions presented WIVI at the Annual Conference of regulanet®. This international event held by world’s leading network of development, regulatory and market access is a conference of great significance for pharma and medical device companies. 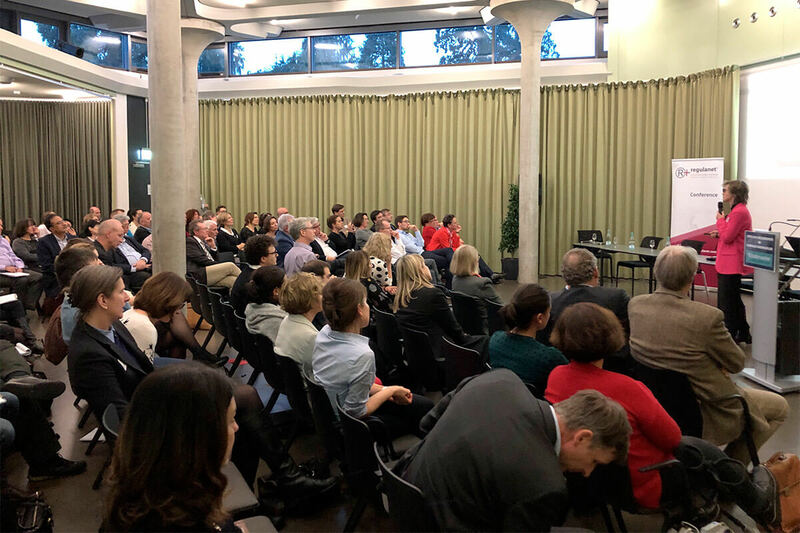 Managers and regulatory affairs experts from all over the world attended this exclusive event held during three days in Badenweiler, Germany. WIVI’s use case was presented in front of 150 attendees approximately, at the conference room of regulanet®´s headquarters, in Badenweiler. As Eva García Ramos mentioned “it is a real honour to be invited to such an event in order to present the success case of a medical device like WIVI”. E-Health Technical Solutions is a company that is committed to innovation as much as it is to scientific evidence and medical certifications. eHTS had been invited by CE plus, a member of the regulanet® network and partner of eHTS who closely supports the regulatory pathway for WIVI. It is through these systems that WIVI can be guaranteed as a high-level solution with comprehensive compliance to applicable regulations. WIVI’s founders want to thank the organization for inviting them, as well as all the attendees who showed special interest in the solution to improve children’s quality of life.